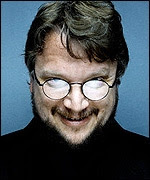 Last time, they said yes Guillermo del Toro is directing the Lord of the Rings prequel, The Hobbit, but then they said he hasn't signed the dotted lines yet, so it's still slightly iffy, especially with another lawsuit thrown at New Line. Now, it's official, he has finally signed the dotted lines. I bet in his version of Middle Earth, the monsters get more screen time. Expect the two-parter to arrive in 2011 and 2012! Read the full article from Variety here.